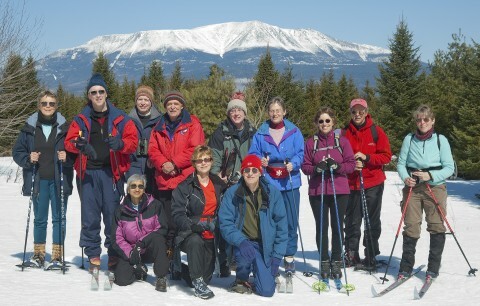 We invite you to join other Friends of Baxter State Park members for a weekend of fun at New England Outdoor Center this winter. On the weekend of March 15 - 17, we've rented three beautiful heated cabins with full kitchens. The accomodations also include groomed cross-country ski trails, an inviting lodge and restaurant, and wonderful views of Katahdin. To reserve space, call New England Outdoor Center at 1-800-634-7238, and tell them that you want to sign up for the Friends of Baxter State Park Warm Winter Weekend on March 15 - 17, 2018. We look forward to seeing you there. Have a great holiday season!